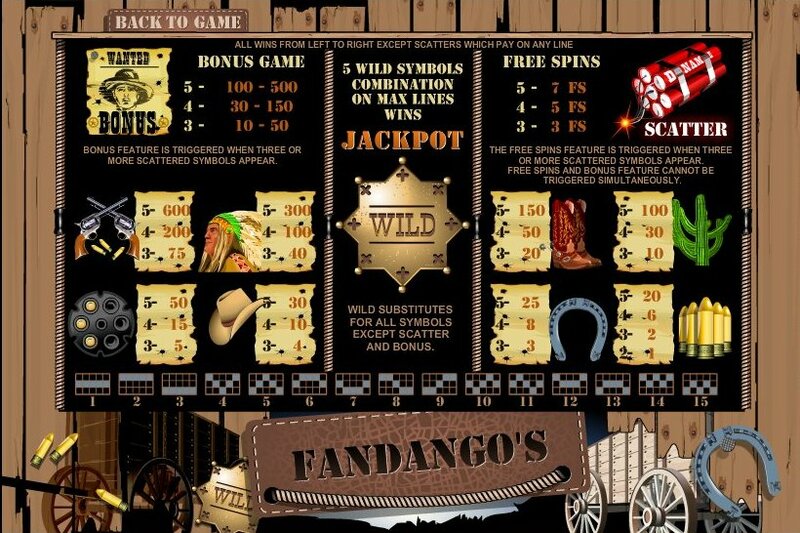 Overview: Saddle up and get ready to win Wild West style in our Fandango 15 Lines video slot game! Your good ol' leather boots will pay you up to 500 coins; don't worry about the Indian chiefs as they favor you with up to 300 coins; the blazing guns will win you up to 600 coins. Don't forget your Wild Sheriff Lucky Star! Hit a 5 or more Wild Star combination on the maximum lines and steal away the Jackpot! 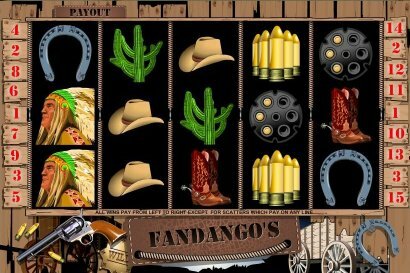 Similar Slots: If you like Fandangos (5 lines), you might like these other slot machines from Top Game: Lost Gems of Brussels, Lucky Fishing, Ocean Fantasy, Shia Safavids Treasure, Sweet Surprise 25 ines, Treasures of Pharaohs (15 lines).